About 10 years ago I was reviewing the music program my husband and I had developed for our local Catholic communities. We were discerning if it was God’s will for us to grow the program as a ministry for use within the larger Church. It was very important to me to include chant in the curriculum; it is uniquely Catholic and deeply spiritual. Gregorian chant is the mother of written music and music theory, bringing music scholarship to the world. 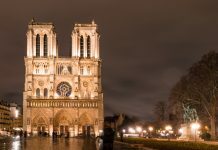 It is a connection to the communion of saints. For more than one thousand years, our Catholic ancestors prayed with chant, and now they continue their prayers in heaven. 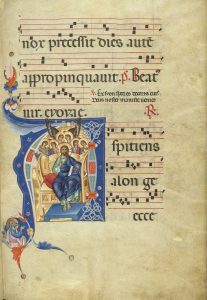 During that questioning time years ago, I came across this quote from then-newly elected Pope Benedict, “An authentic updating of sacred music can take place only in the lineage of the great tradition of the past, of Gregorian chant and sacred polyphony.” It was the confirmation we needed. Soon after, as I was preparing to teach my first official Making Music Praying Twice classes, an excited mother wanted to share her experience with me. Her three-year-old daughter was listening to the class CD. When the music of the Magnificat came on, little Gwen walked over to the CD player, knelt down, and folded her hands. “I know!” her mother said in an excited whisper. We both felt joy and awe and the fear of the Lord sweep over us. Truly God has a great purpose in Gregorian chant, which carries the apostolic blessing of St. Gregory the Great. 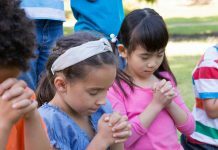 St. John Paul II called it the “highest form of sung prayer.” This is why it’s so important to share this powerful gift with our students. 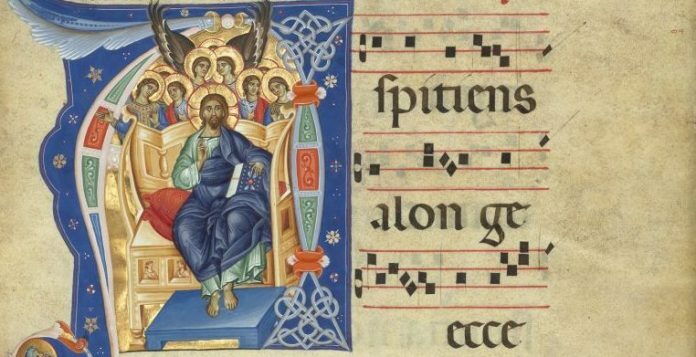 If you are skilled and knowledgeable in Gregorian chant, you can easily teach some simple chants to use with your class for prayer. If you aren’t, I sincerely invite you to try it. See my suggestions below and the useful resources in the box on this page. The first and easiest way to utilize chant is to listen to it. Many teachers use chant recordings for quiet time and reflection. If you are planning to teach the students to chant, use a recording of the song you are going to teach and repeat it several times. Ideally, one should learn to chant from a human teacher. If you have a resource through the parish or your personal contacts who could teach your class or tutor you before you teach your class, by all means, explore this option first. Otherwise, there are good education materials available that include audio and some free online options, as well. You can use either English or Latin chants. When getting started, stick to just a few key verses and repeat. Students should understand that in chant, the music serves the lyrics. It is without meter; you sing as if reciting the words. It is important to listen to one another and focus on the meaning of the words. 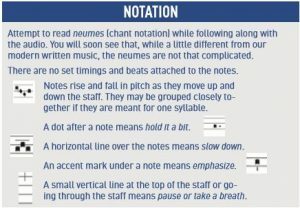 It is fine to teach Latin chants, but ensure that the students truly understand the meaning of the lyrics first. Chant the music for the students and have them repeat it with you line by line. After doing this multiple times, chant together. Don’t use recorded music or accompaniment when you are chanting if you can help it. Keep chanting the same piece every time you meet. Practice is key. Move on to the next song only after the first chant is mastered. 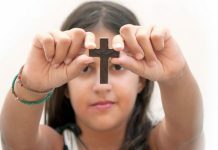 Kate Daneluk is an author and speaker on education and Catholic ministry and is the creator of the Making Music Praying Twice education program. Find out more at MakingMusicPrayingTwice.com. 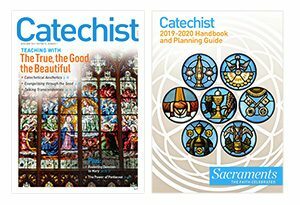 This article was originally published in Catechist magazine, April-May 2018.